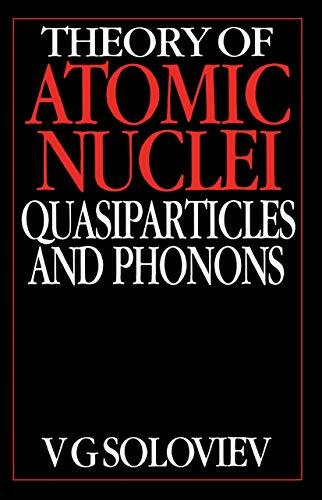 Theory of atomic nuclei : quasiparticles and phonons / Vadim G. Soloviev; translated from the Russian by Vitaly I. Kisin. 10^aTheory of atomic nuclei :^bquasiparticles and phonons /^cVadim G. Soloviev; translated from the Russian by Vitaly I. Kisin. ^aBristol, UK ;^aPhiladelphia :^bInstitute of Physics Pub.,^c1992. ^axv, 333 p. :^bill. ;^c25 cm.